Home BREAKING BREAKING NEWS! ARREST WARRANT TO BE SERVED AGAINST SENATOR TRILLANES! BREAKING NEWS! ARREST WARRANT TO BE SERVED AGAINST SENATOR TRILLANES! 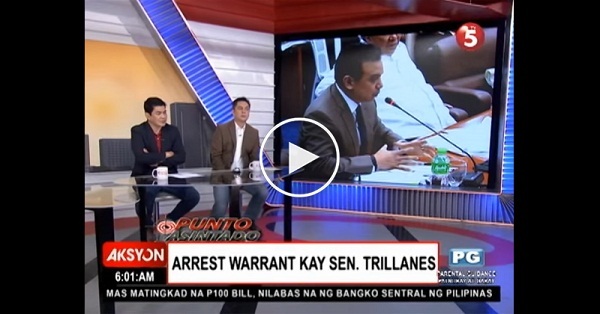 ARREST WARRANT TO BE SERVED AGAINST SENATOR TRILLANES!